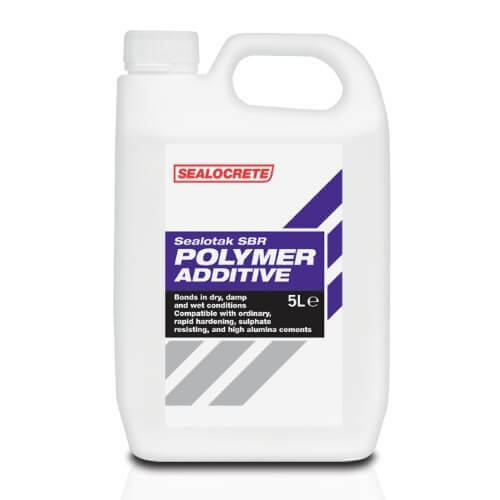 Sealocrete Sealotak SBR is used to modify mortars, screeds and renders to improve mix strength and durability, reduce water penetration and improve chemical resistance. It can also be used as a bonding agent and primer for all cementitious systems while reducing shrinkage and cracking giving good freeze and thaw resistance. For internal and external use.